Why Should You Read "Church Fellowship"? "President Walther was a valuable teacher for the LCMS in his day; he is just as valuable for the LCMS today and tomorrow. Any group of pastors and laymen will learn much from this anthology of his articles and speeches, which has never before been collected into one volume. Walther gives me more confidence to speak to others about Church Fellowship, because he himself strove to convince colleagues of his day solely by using God’s Word. This book would well equip pastor and people, especially wherever theology like this has been downplayed in past generations." "As I read Walther’s Works: Church Fellowship, I found myself wishing again and again that I could have read this volume long ago. With a clearer sense of where these debates have already trod, I might have been of more service to my brother pastors as well to my own parishioners. But nevertheless, I am grateful to have read it now." 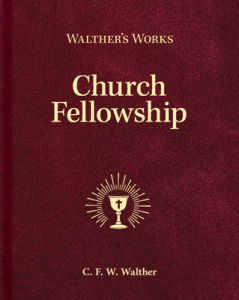 "Walther’s Works: Church Fellowship can help bring about a better understanding of Confessional Lutheranism and may help in recognizing where true unity exists, which can only be a gift of the Holy Spirit through the preaching of His holy, powerful, and saving Word. 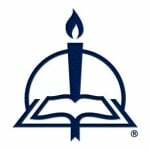 These writings would serve well for personal edification, for congregational and pastoral study groups, and for church leaders engaged in various aspects of church work." "A volume like this can and should be read by pastors and laity alike, not to mention given consideration as a study document for broader groups, whether congregations or pastoral conferences. We give thanks for the preservation and now publication of these essays. They show us how those who went before thought and acted when dealing with situations we have dealt with. They remind us as Lutherans that we cannot and dare not abandon our Lutheran confessions of faith, our public symbols, the Book of Concord. They show us that those symbols, those confessions to which we subscribe, have their source and their norm in Scripture. Not any words, not those of an apostle or an angel or a Luther or a Walther are allowed to rise above or speak any gospel other than the one spoken to us in Scripture about Christ for us, Christ crucified and risen from the dead."